Yet, there are times when one just doesn’t have enough time to run around shops looking for the perfect dress, or pair of shoes. What to do? Using Pinga is one option. A really effective option. Particularly if the party starts at eight and it’s five pm on a Friday and you just spilt wine all over the outfit you’re meant to be wearing. Oups. Pinga allows you to send out a request to nearby Pinga partners. Whoever is able to assist will ping you back and get right on it. Before you know it, you have a new party outfit from Next delivered to your doorstep. Pinga is an app that connects people to services and services to people. Our trusted Pinga partners can help you with anything from buying an outfit at Next, to popping down to the pharmacy when you’re sick. Minor emergencies, such as having forgotten to buy dessert, or, low and behold: coffee, can easily be avoided thanks to Pinga. With Pinga, there is no need to go crazy and buy a ton of things at Next to qualify for an order, either. Whether you want one dress, or ten accessories, one of the Pinga partners will be able to help. We don’t subscribe to a mime order, because let’s face it: sometimes all you need is the one item of clothing to prevent a disaster. Such as showing up in a sweater that shrunk in the laundry. Pinga delivers any items from Next today. 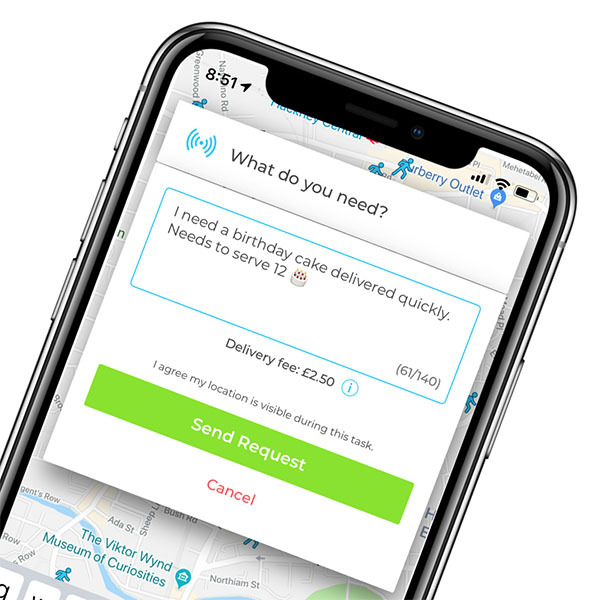 Infact our service normally delivers within an hour, so if you’re looking for same day delivers from Next, send your request via the Pinga App. Describe what items you needs to be delivered from Next and send your request. Pay securely within the app and receive your Next items to your door!